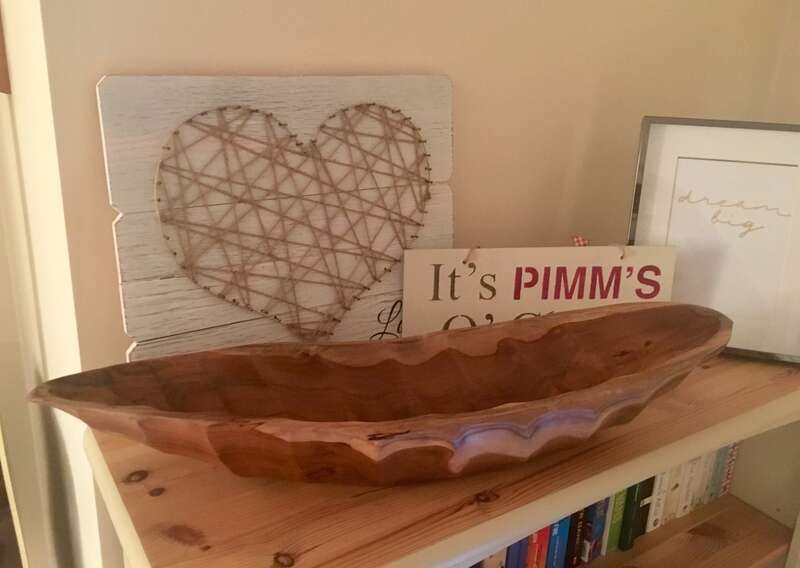 so we’ve been putting off the big jobs (new flooring in the living room, turning the spare room into a dressing room, painting everywhere, etc) and concentrating on little easy jobs – moving furniture round and adding finishing touches everywhere. 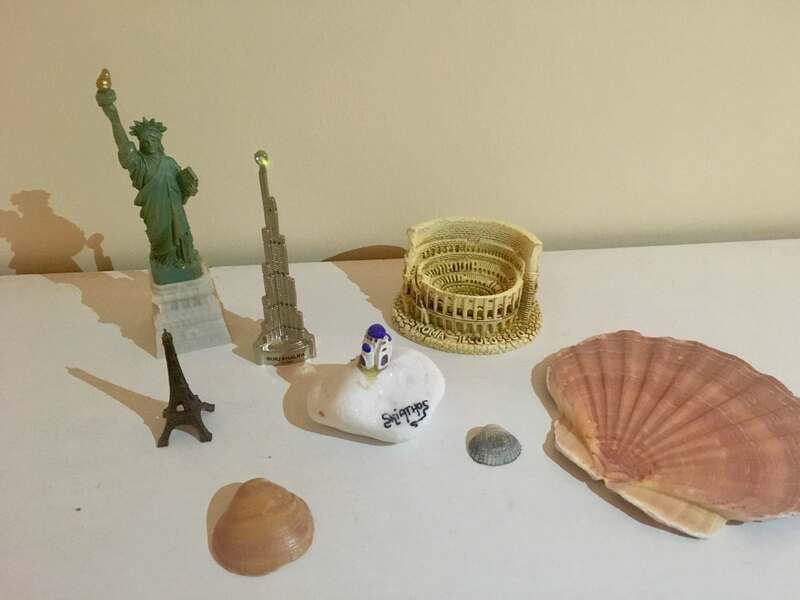 One of my favourite things to do is collect bits and pieces from all of our travels to adorn our home with memories of all the trips we’ve taken together. Travel is my passion and so I like this to be reflected in my home. I love doing this, obviously for sentimental reasons, but also because it makes our home really eclectic and different from other people’s. There’s the Colosseum miniature model that we picked up from Rome, a pebble with a blue-domed building on it from Skiathos and seashells from Portugal and Scarborough. Plus miniature models of the Burj Khalifa, the Statue of Liberty and the Eiffel Tower. 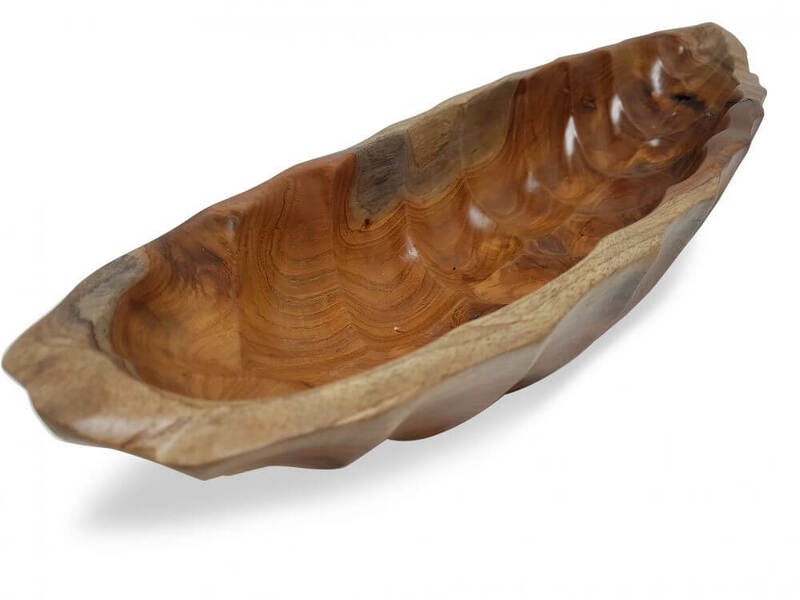 e a little of a boat and it’s big enough to fit plenty of things in it – your keys, fruit, decorative pebbles – but we’ve simply used it as a statement piece on our coffee table. It’s too beautiful to put things in! Banbayu’s aim is to bring ethically sourced luxury to every house and their website is full of beautiful pieces of homeware and furniture. Each piece is handmade and inspired by its native country while all the materials are verified for cultural and ecological sustainability. Banbayu support the cultures and environments where these spectacular pieces come from. These are values that I like to align myself with and I love that my home is that way too. Find out more about Banbayu and their home decoration, lighting and furniture here.